In 1986 Jennings and Mitzi Osborne began decorating their home with Christmas lights at the request of their daughter Breezy. 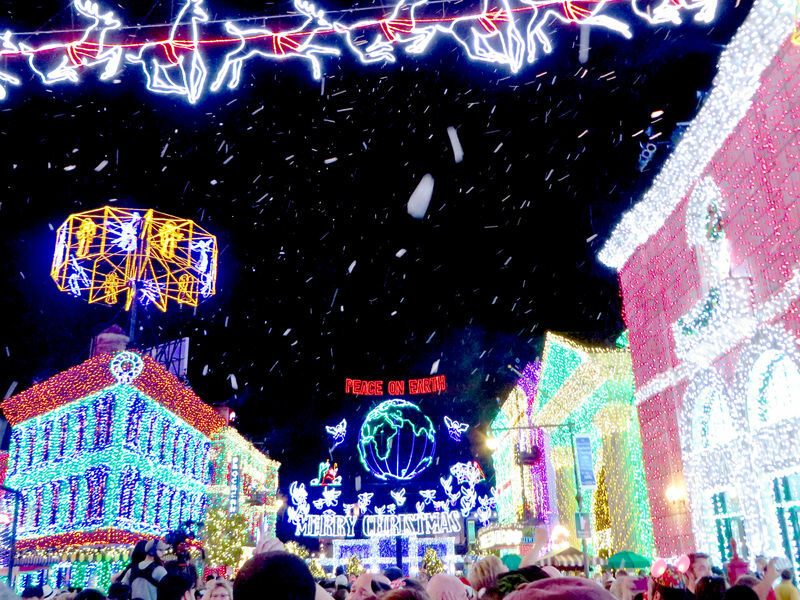 Each year the display became more extensive and eventually included over more than 100,000 lights. When neighbors began to complain the story garnered national attention and Disney offered to move the display into the are of Disney MGM Studios known as Residential Lane (now Streets of America). Since the first in-park display in 1995 it has only continued to grow. There are now over 5 million lights used in the show, with many individual displays choreographed to music such as "Christmas Eve" by Trans-Siberian Orchestra or "Feliz Navidad" by Jose Feliciano. Next Event Scheduled: November 6, 2015 through January 3, 2015. Admission Requirements: No separate admission required, just general park entry. 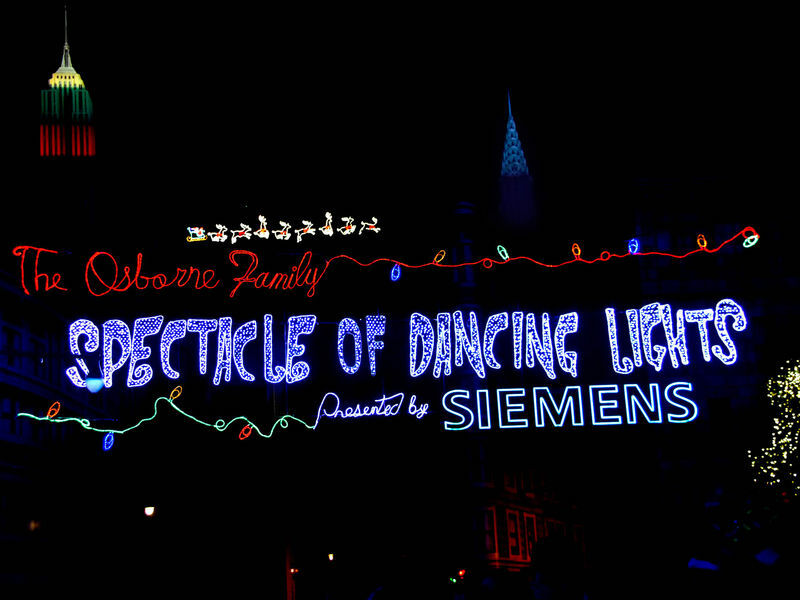 The Obsorne Family Spectacle fo Dancing Lights is a self-guided experience. Every evening after dark there is a lighting ceremony at the entrance to the backlot area used for the show and then park guests are invited to walk through the several blocks-long display. Special Merchandise: Made With Magic accessories will be available for purchase at Mickey's of Hollywood, Celebrity 5 & 10, and Beverly Sunset. The accessories illuminate at specific times during the event to make you a part of the show. A black cat figure is hidden somewhere in the display every year.